Why do you need Alloy axle shafts? Because horsepower is useless if can’t get it to the ground. 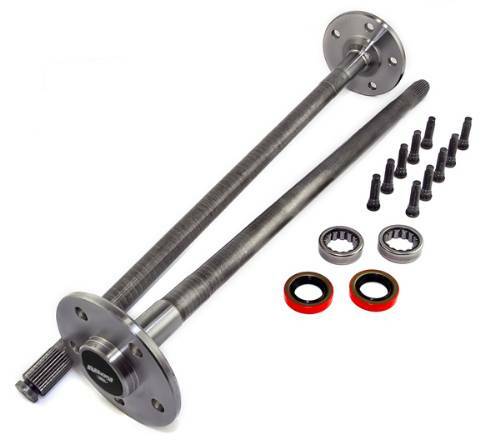 Our performance rear axle kits feature 1541H alloy steel and have been propelling cars to victory for nearly a decade. Our heat-treated and induction hardened shafts have twice the tensile strength than stock and are up to 35% stronger.